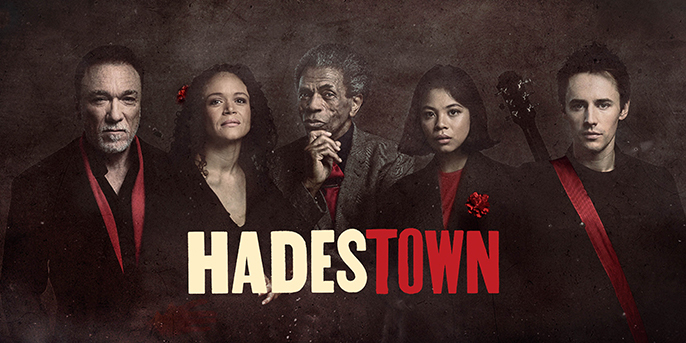 Following record-breaking runs at New York Theatre Workshop and Canada’s Citadel Theatre, Hadestown comes to the National Theatre prior to Broadway. Celebrated singer-songwriter Anaïs Mitchell and director Rachel Chavkin have transformed Mitchell’s acclaimed concept album into a genre-defying new musical that mixes modern American folk music with vintage New Orleans jazz to reimagine a sweeping ancient tale. Amber Gray and Patrick Page, who appeared in the original New York Theatre Workshop production, play Persephone and Hades, with Sharif Afifi, Beth Hinton-Lever, Seyi Omooba, Aiesha Pease, Joseph Prouse, Jordan Shaw and Shaq Taylor completing the ensemble. André De Shields and Eva Noblezada play Hermes and Eurydice, with Reeve Carney playing Orpheus. Also cast are Rosie Fletcher, Carly Mercedes Dyer and Gloria Onitiri as the Fates. Click here to listen to the music from the show in the original cast recording.